Local Diving is more fun with your own scuba gear. Owning your own scuba gear will add to your enjoyment of the underwater world. Adventure Scuba is your headquarters for all your diving needs. Our experienced staff can help you select the gear that fits your diving style. Whether your idea of adventure is stepping off the back of a dive boat into the crystal blue waters of the Caribbean or exploring the local waters, we have the gear that will make your diving adventure a memorable one. Gear selection is a very personal choice and what is a great choice for one diver could be totally wrong for the next, let us help you choose the appropriate fit. Where are you going to dive? Will you primarily be traveling? Are your interests are more technical such as deep dives, ice, drysuit? We have the expertise to help put together a gear package that will fit your needs and budget. 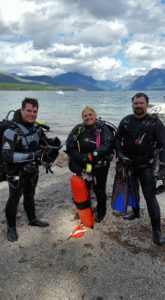 Why buy from Adventure Scuba? Adventure Scuba offers the top lines of scuba diving equipment and factory trained service techs onsite. When selecting gear, while price is a consideration, keeping your equipment serviced is an even bigger one. By purchasing from Adventure Scuba, we are able to pass along the benefit of free parts* as well as a preferred customer discount on the labor. The internet has become a valuable tool in making decisions about dive equipment. Yes, you’ll even find sites selling equipment online. Yes, even us. We make every effort to be competitive with the internet sites and can offer service that they can’t. Our service techs will put together your new equipment, test it, and give you the opportunity to take your gear to the pool and try it out. We will be there to make sure you are happy with your choice from the start and there to make sure your equipment give you years of fun. We can also help make your purchase more affordable. Adventure Scuba has teamed up with Synchrony Financial to be able to offer financing plans for your equipment purchases. Now, you can purchase the equipment you want and on a financing plan that fits your needs. Ask us how. Should I Buy My Equipment During my Training Course? Some students feel that they should wait to buy their scuba gear until after they finish their course. You will get the more value out of your training when you get to train in the equipment that you will be actually use when diving. Our staff is right there to help you learn to use your equipment as part of your training. Combining the learning of diving skills and familiarity with your equipment will get you the most value for your training dollar. Increased safety is obtained by the combination of familiarity with your equipment and comfort in using your equipment to perform the required skills. Although we see great benefit to our students in training in their own gear, that isn’t always practical. Sometimes getting your gear needs to be done in stages. We would recommend that you start with “personal gear”- mask, snorkel, fins, boots, and wetsuit. A properly fitting mask can make all the difference between an “OK” dive and a great one. We offer our students a discount on equipment purchases while enrolled in class. 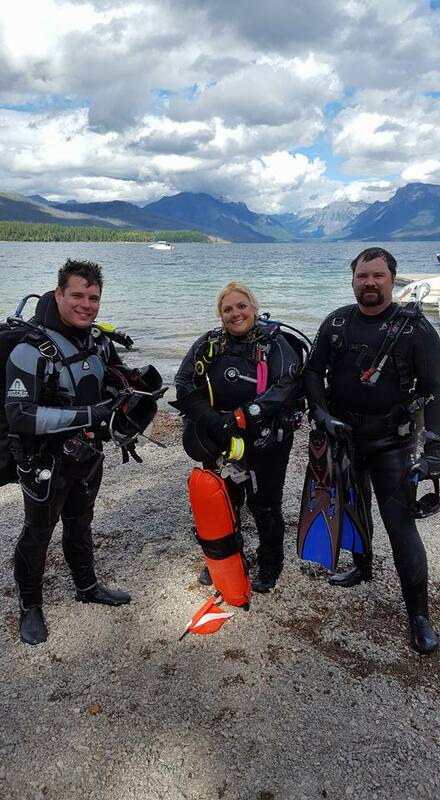 Our dive professionals can help you get outfitted for years of fun and adventure!